The Mountain View company has eliminated the free version of its Google Apps online suite for companies of 10 users or less, but it remains for private Users. 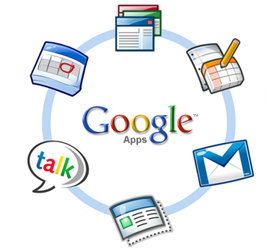 Google has stopped offering the free version of Google Apps, its suite of online applications for small businesses. The Mountain View company said it wanted to offer a user experience stronger and more uniform. In a blog post, the Net giant said that now, companies with 10 users or less, will have to pay To use its platform, which until now was free. All businesses will be charged 50 $ per user per year for the service. However, Google Apps will remain free For private users as well as professionals who currently use the free version. "Google Apps for Business," the pay offer from the publisher, offers a courier service, a calendar and an office suite online as a package all-in-one, Which allows use on private domain names and the addition of features such as a hotline 24 hours. Applications as a service for archiving and storage are Available by adding additional charges. If the company did not disclose the number of users of this service in "SaaS" mode, she said last year that the service had over 40 million users, although We suspect the majority do not pay. Its Apps compete with Office 365 from Microsoft, which includes a service email and online versions of Word, PowerPoint And Excel from 7.74 $ per user per month. In a blog post published yesterday, Clay Bavor, director of product management for Google Apps, said the result was used by "millions of companies. "He Added that the removal of the free version would eliminate the confusion about different offers from Google and provide a better experience to its business customers" who quickly exceed the basic version. " The company has also worked to add more functionality to woo corporate clients. This includes privatization Play Google to have a catalog of business Applications on Android, as well as a space online storage whose capacity can reach thousands of terabytes. Since the launch of the paid version of its product line in 2007, Google has gradually reduced the size of companies that can use for free. In 2009, the limit was set to 50 users, and in 2011 it was lowered to 10 users.